This topic shows how to create a bar to monitor for the status of a Queue Manager, starting from a system view. Select the Data Selection option from the list. This is achieved by creating or using an existing definition. 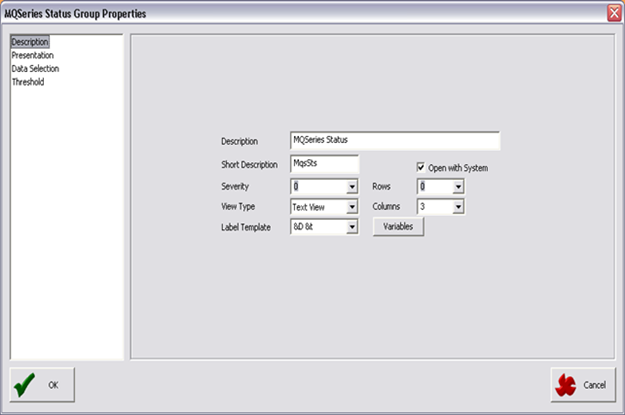 Right-click the *DFT parameter to provide a context menu of options from your system. Select the desired entry, then click OK. Note the new option at the bottom of the Selected Items list on the right. 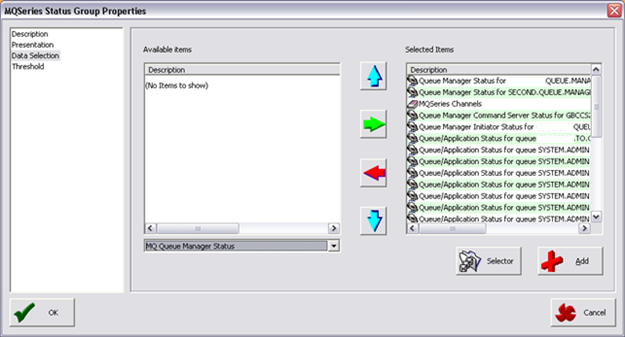 A new column has been added to the group providing the status of the Queue Manager. Hover your mouse over the item for details. 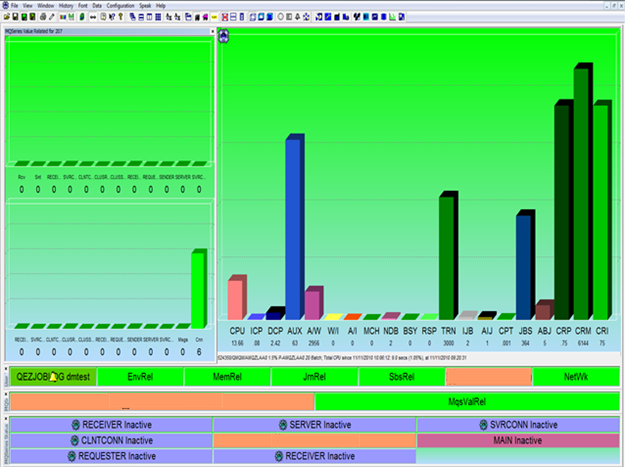 Some monitor types require monitoring to be enabled for the queue or channel being monitored. If monitoring is not enabled, MSM displays the message, "MQSeries API reports Not Available". 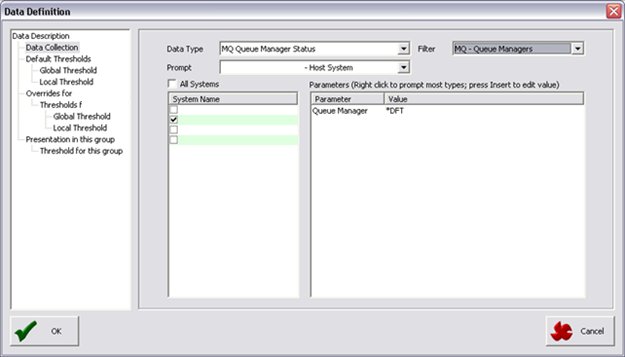 Monitoring can be enabled at the queue manager level, or by individual queue/channel, by using the CHGMQMQ command to set parameter MONQ to the level of monitoring required. *LOW appears to be sufficient for most cases; the level of monitoring affects the frequency of updates to the internal counters in MQS.